What are the holidays without a touch of sparkle? 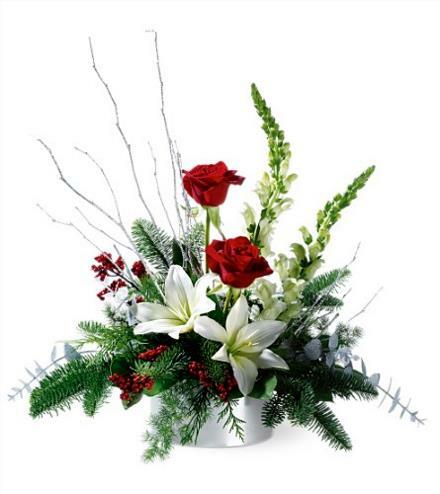 This dazzling holiday arrangement arrives in a bowl, bearing a mix of fresh flowers, red berries and silver-glittered branches. A gala holiday decoration, guaranteed to bring a twinkle to someone's eye. Winter Frost.